AccuRender nXt for Revit - has now been released. High Quality, Photo Realistic renderings from Revit with a new integrated rendering Engine. This is the fastest, best low-cost renderer for Revit. We have now moved AccuRender nXt for Revit from Beta test mode to Production mode. AccuRender nXt for Revit is producing good renderings now, and have fixed most of the bugs which our Beta Testers have reported. We feel that the product is ready for release to the general public, and have released it for production. You can now change Render Settings and Edit materials from the Render dialog, without having to export or reload the geometry. The dialog for setting the Sun position was restored. Sun and Sky Settings may now be changed without reloading the geometry into the rendering window, just stop and restart the renderer from the rendering dialog. Background images and colors added. Reduced the delay loading the Map Material and Plant dialogs. Added support for the new fractal AccuRender nXt trees. We now use the Color, Transparency and Reflection from the Revit rendering material for materials not mapped to AccuRender nXt materials. 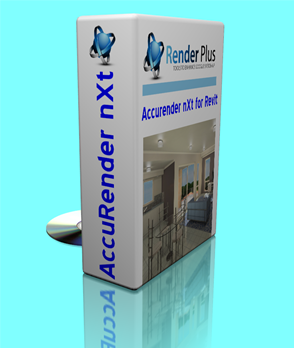 Visit: Downloads to download AccuRender nXt for Revit. You may need to be an administrator to install AccuRender nXt for Revit. The installation will attempt to determine where Revit is installed. If it has any problems, it will ask you to help locate the Revit.exe file in the folder where Revit is installed. Once you find the file and select Open, you should get a message box indicating a successful configuration. 1. Open Revit and load a model. An additional menu item, nXt should appear. 2. Load a perspective 3D view, so that the ARnXt menu items and Add-ins are enabled. 3. From the Add-ins ribbon, choose AR nXt to load the Control Panel. Render Model, using the current 3D view. You decide when to Stop the rendering—it will continue refining the picture until you stop it. Try rendering a small to medium sized model first—before you throw something very large at it. Load Setup Options Tab Dialog. Set rendering options. 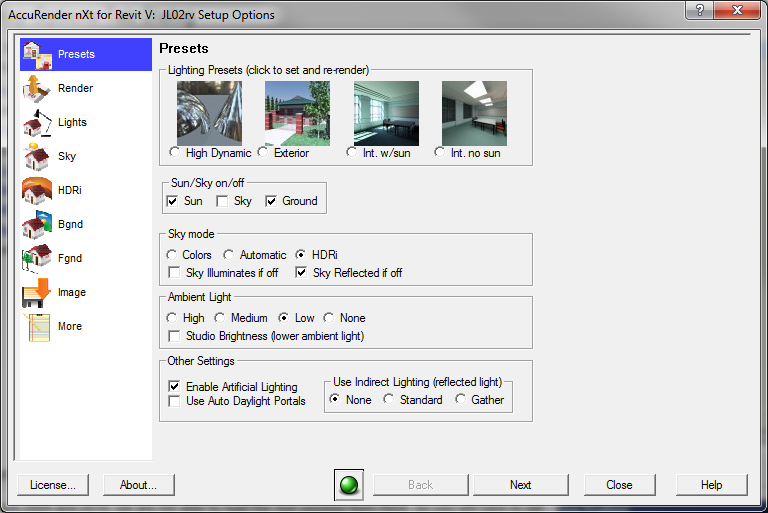 Load Sun Position Dialog. Set the sun position. Load Materials Dialog. Map a nXt material to a Revit material with the same name. Load Plants Dialog. 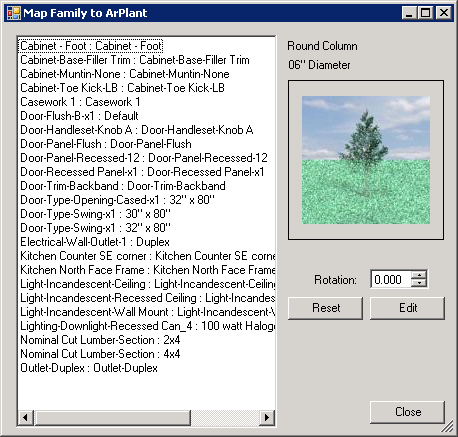 Map an AccuRender Plant to a Revit family, by family name. Note: If you wish to render a non-perspective view, select the view while leaving the Control Panel visible. You can leave the control panel up while selecting different models and views. AccuRender nXt for Revit will always render the currently active model and view. 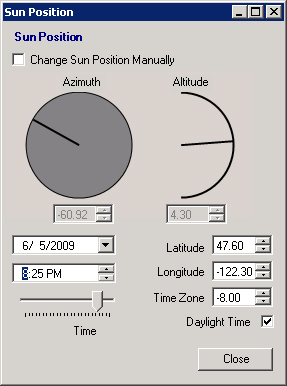 We are not able to read the Sun position from Revit yet, so you will have to set the sun again before using AccuRender nXt for Revit. You can create a nXt Material for any of the Revit Materials in your drawing. 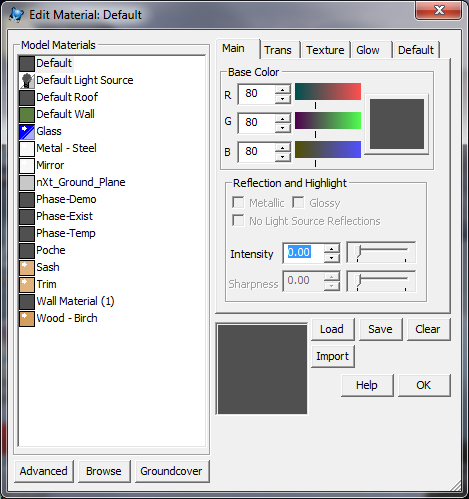 Select a Revit Material on the left and click Edit to define the nXt Material to match it. The nXt Material will have the same name as the Revit Material. You can use the Plants dialog to map AccuRender Plants to families by name.